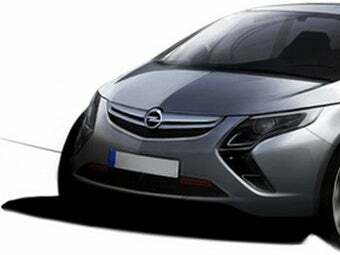 The 3rd generation Opel Zafira MPV has slipped out of GM's European design studio with this Opel Ampera-inspired sketch. With Saturn all but dead, is there any chance we'll ever see this here? The sharing between Opel and Saturn may be coming to an end, but that doesn't mean that there isn't an opportunity for the Zafira MPV to land on our shores in the form of a small Chevrolet. We're not exactly sure what platform the Zafira will ride upon, or what will power it, but our guess would be GM's global Delta architecture underpinning the Chevy Cruze and a similar engine lineup including the new 150-horsepower 16-valve, 2.0-liter turbo diesel.